I'd imagine that at least some of the hits for "fry rice" come from perfectly good recipes: "fry rice in oil and add vegetables" and so on. "Iced cream" > "ice( )cream" is presumably another of the prototypical examples of this. Isn't /d/-elision also impossible before /l/? There's also "skim milk", which I personally would even write rather than "skimmed milk", though Google indicates "the skimmed milk" is still more common than "the skim milk" by a ratio of about 7:5 (putting "the" before the phrase filters out verb phrases like "do you know how to skim milk?" and "I've never skimmed milk before"). Some or all examples enable people to interpret the skim(med) part in a legitimate alternative way, even if the result sometimes isn't the most intuitive. "Corn beef", for instance, could actually be formed of "corn" and "beef". The test would be to see if the -d'd be dropped if it were stressed on "beef", because "corn bEEf" (as opposed to "corned bEEf") doesn't easily parse. Which funnily enough is both an unclipped past participle (bouilli) and a nominal adjective ("boulli-style" beef). I have lost count of the number of times I have seen signs announcing the presence of "close circuit tv"
No it's quite possible and very common. My dad, from the Black Country, calls it 'corn dog'. Haha! So as Prof. Wells suggests, elision is in fact less usual before /r/. I think the reason that boiled rice doesn't clip is that the /d/ moves to the onset, giving boil drice. Boiled beef cannot similarly become *boil dbeef due to phonotactic restrictions, and similarly with *skim dmilk. Skim milk is the standard term in American English. I'm actually surprised that skimmed milk is so common, given how U.S.-centric the Web still is. Corned beef by whatever name is a very different product on the two sides of the Pond. The American version is a brine-cured brisket which may be bought uncooked or cooked with various mild spices. Wikipedia says this is called salt beef in the U.K., and is primarily available in places with substantial Jewish settlement. In the U.K. it's finely ground boiled beef with some beef gelatin(e). Finally, stir-fry is a direct calque from Mandarin, where such verb-verb compounds are common and productive. It was apparently introduced into English by Buwei Yang Chao 楊步偉, who was married to the great phonologist Yuen Ren Chao 趙元任, in her 1945 cookbook How To Cook And Eat In Chinese. This confirms that deletion of final /d/ before /r/ (e.g. boiled rice) is less common than before most other sounds (e.g. 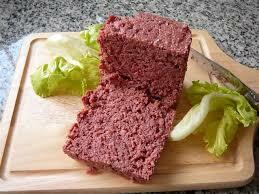 corned beef). Reference: Deterding, D. (2006) Deletion of final /t/ and /d/ in BBC English: implications for teachers in Singapore. STETS Language & Communication Review, 5(1), 21-23. @John Maidment, old of course easily becomes ol', even before /l/, but do you really think the /d/ can easily be dropped from "boiled leeks"? I definitely wouldn't do that, but then I'm not a native speaker, so I can't be trusted. In answer to your question: Yes, I do. John, I'm not sure that stir-fry is a calque on Mandarin. As far as I know, the Mandarin term is just a single verb, chǎo 炒.
John Maidment says he can say 'old lady' with the /d/ deleted, and also 'boiled leaks' similarly with no /d/. This raises an interesting contrast with 'boiled rice' mentioned in the original posting by John Wells, where the next word begins with /r/ rather than /l/. One possibility is that /d/ deletion is less likely when the /d/ can become resyllabified onto the following syllable. According to this, 'boiled rice' is less likely to exhibit /d/ deletion, because /dr/ is a possible syllable onset, while in 'boiled leaks' the /d/ is much more likely to be deleted, because /dl/ is not a possible syllable onset. In the figures I gave previously for BBC recordings, unfortunately the approximants are not separated. I have just looked at the original figures, and there were 10 instances of /t/ or /d/ followed by /l/, and there was deletion in only two of them ('expect long queues', 'expect long delays'), and there were 7 instances of /t/ or /d/ followed by /r/, and only one of these exhibited deletion ('world record') -- so not much difference. Nevertheless, it does seem to me a bit more likely that /t/ or /d/ would be retained before /r/ and deleted before /l/. Another interesting facet of [d] deletion is that is can't happen (at least for me and those I hear) in words like sandal [sændl], candle [kændl], but it can in words like endless [enləs] fondly [fɒnli]. This contrasts with historical [t] elision in listen, moisten etc. [d] elision doesn't happen before a syllabic l. Maybe one explanation is that syllabic forms a syllable in which it is the nucleus and there is no onset. In other words, syllabic l is a vowel and not a consonant. That doesn't explain why [t] got zapped in whistle though. Could it have been generalized from the inflected form whistling (compressed to two syllables)? If that were the case, why didn't it happen with [d] too? And why can't we (er....sorry, I) say [fɒnlɪŋ] for "fondling"? The phenomenon you describe is easier to see if the vowel in the unstressed syllable is acknowledged as such, rather than its coda being analysed as a syllabic consonant. This suggests the explanation that, in words such as candle ['kændəl], the [ə] inhibits the deletion of the [d]. This could be tested by seeing whether or not someone who palatalises the [d] in e.g. "dry" also does so in "boiled rice". Indeed. We would then have to appeal to some sort of rule ordering or the equivalent whereby alveolar plosive elision is ranked higher than syllabic consonant formation. However, this still does not explain words like "whistle, castle, bristle". Did these not also contain a [ə], which should have blocked the elision of [t]? I have what I perceive as /dʒr/ as the onset in "dry" and similar words, but I don't notice anything similar happening in "boiled rice", which seems to have a normal /d/. I'm not sure that stir-fry is a calque on Mandarin. While it certainly looks like one, there's nothing un-Germanic about it. I can, ad hoc, produce the literal German translation *umrührbraten, which sounds grammatical and comprehensible to me, even though it almost certainly doesn't exist. Google Translate, which is quite useful despite its many flaws, thinks the German for 'stir-fry' is pannengerühren. Pfannenrühren (past participle pfannengerührt)? Could be... though a wok isn't really a pan, is it. Still odd, because "frying" isn't mentioned or alluded to at all in there – you have to guess it from the "pan". David: Pannen for pfannen was a mere typo, but Google really does want that inserted ge-; I figured it was not the participial prefix at all but an inseparable prefix as in gehören.